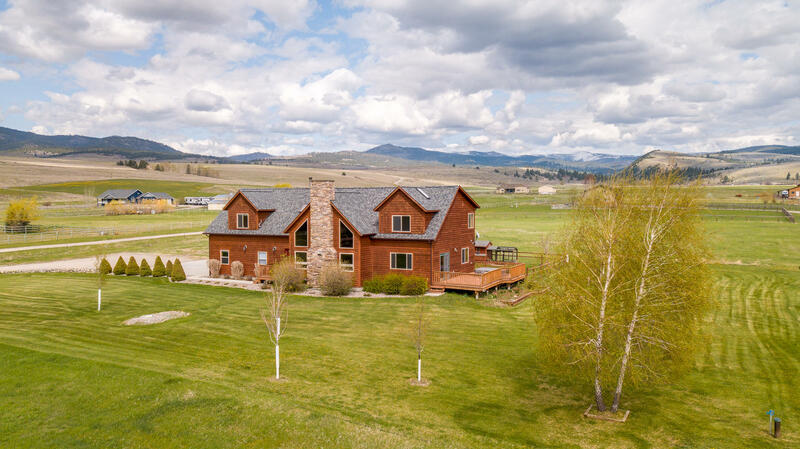 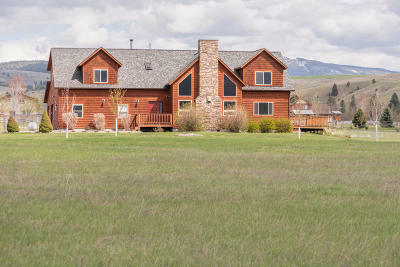 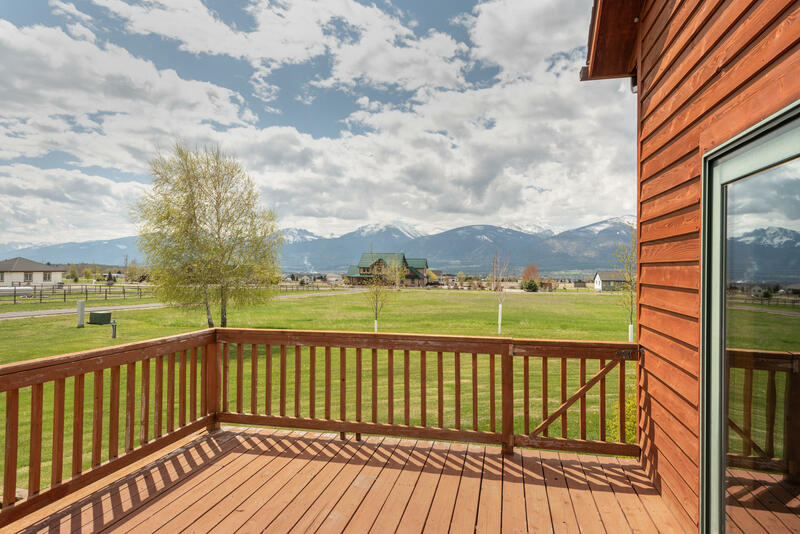 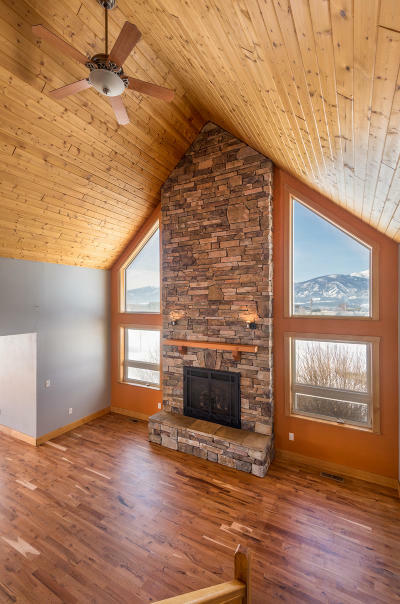 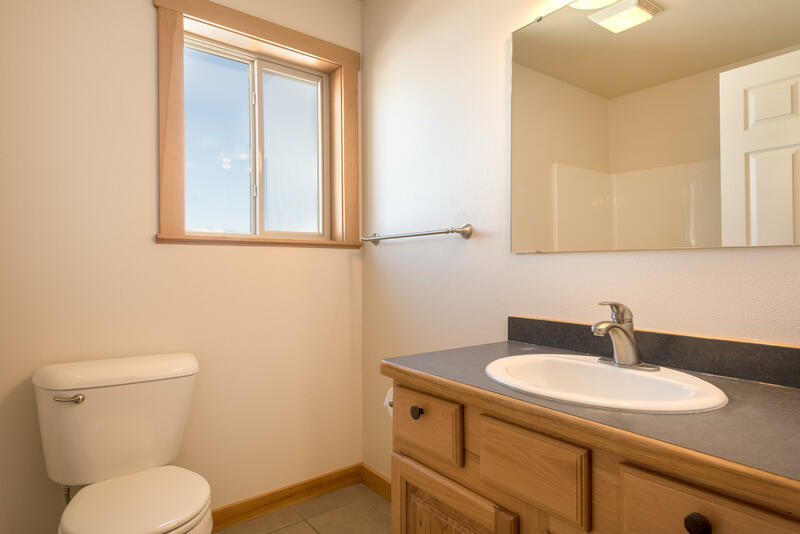 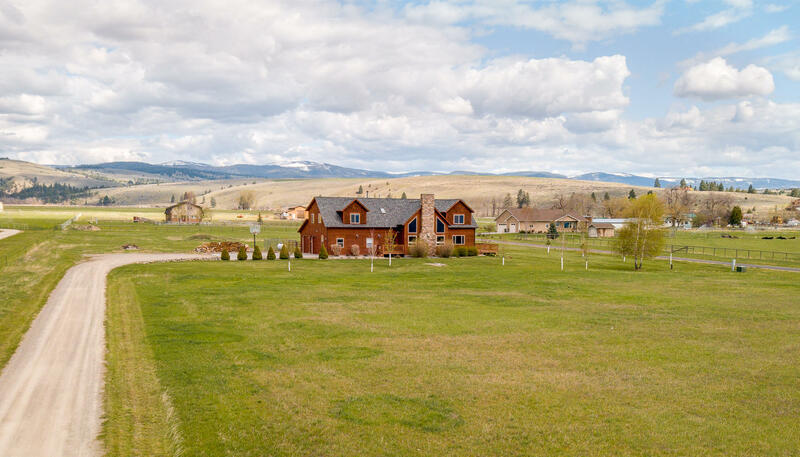 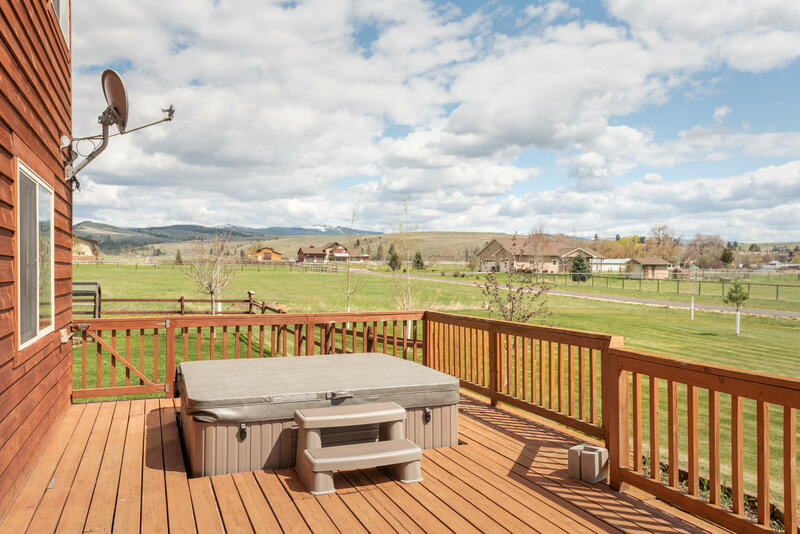 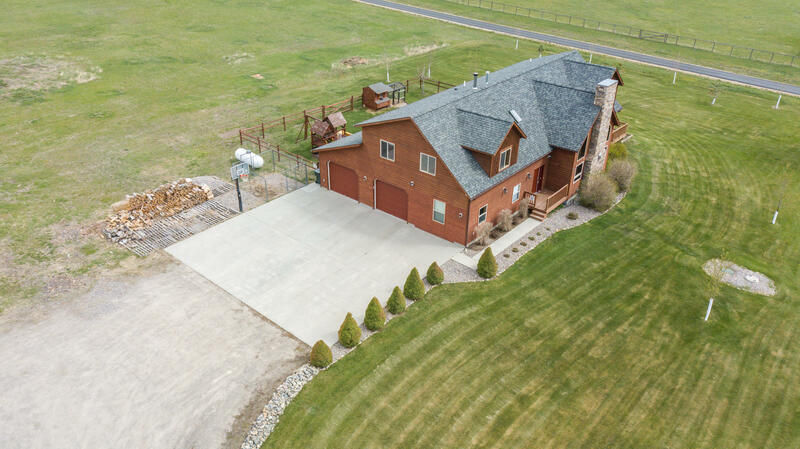 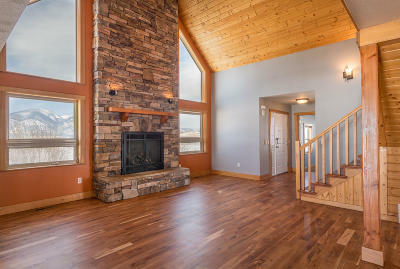 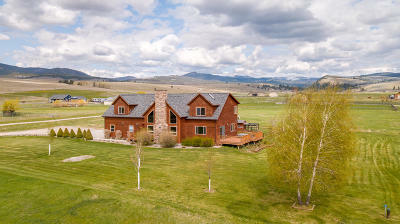 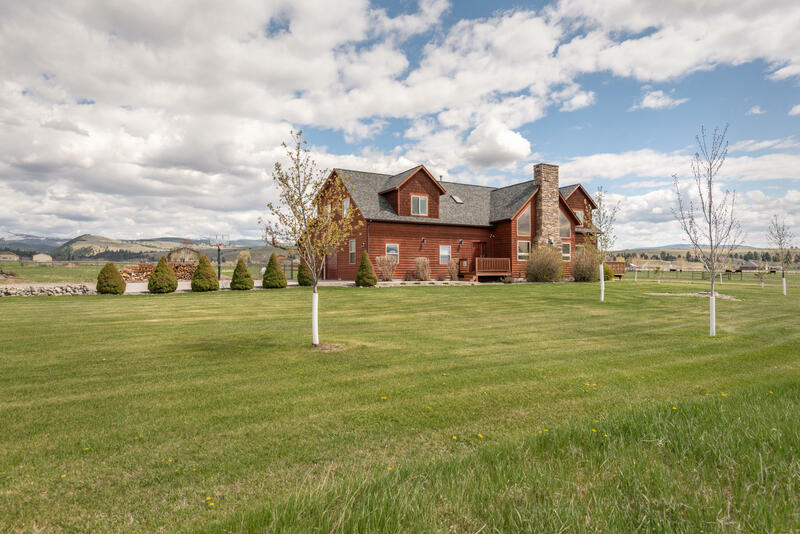 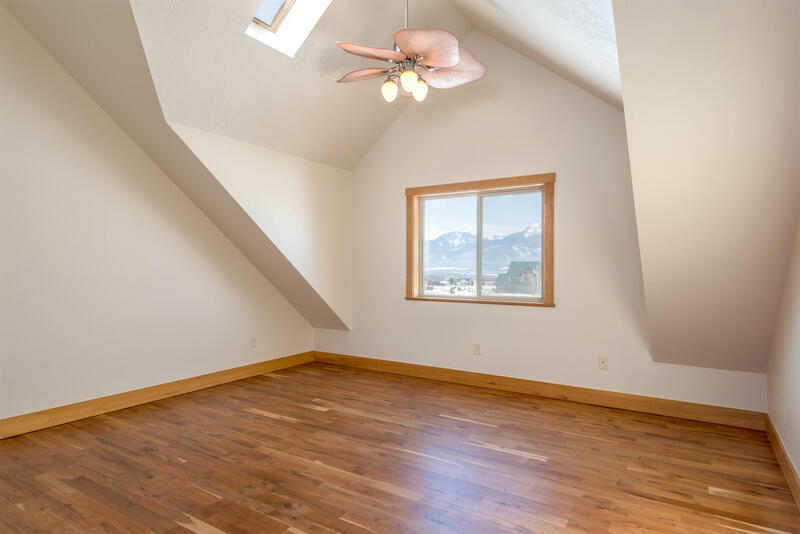 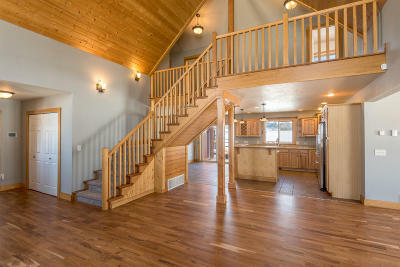 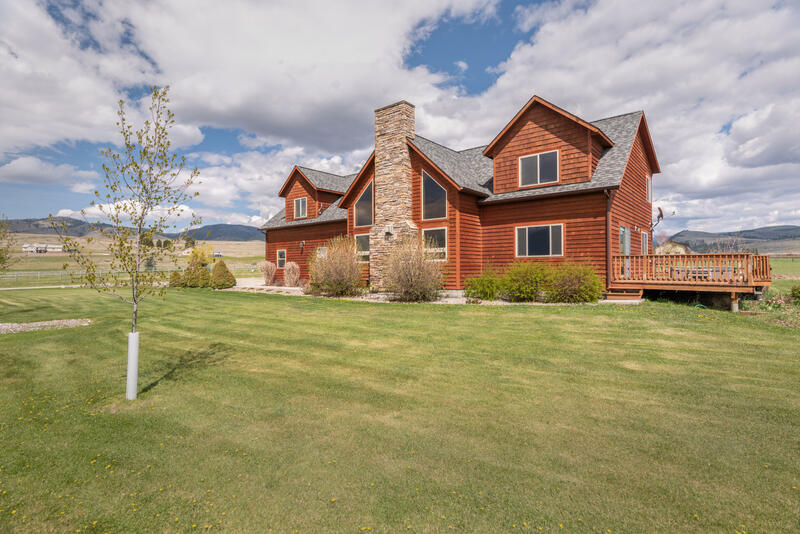 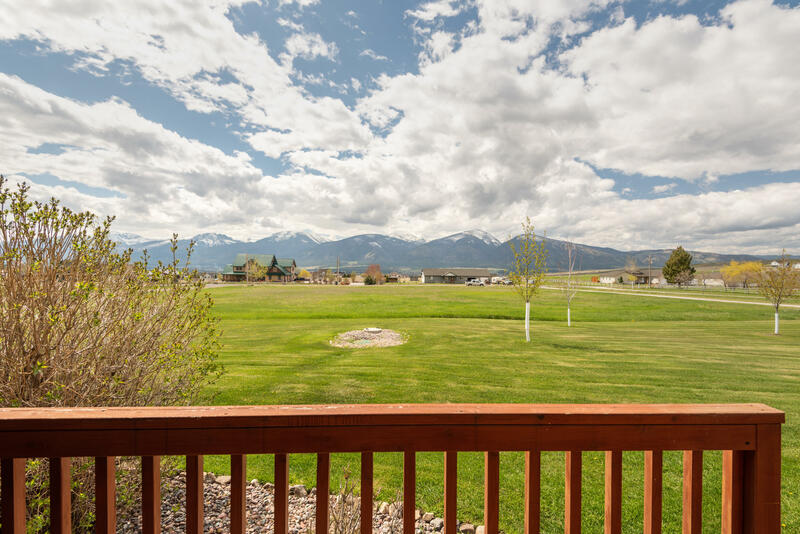 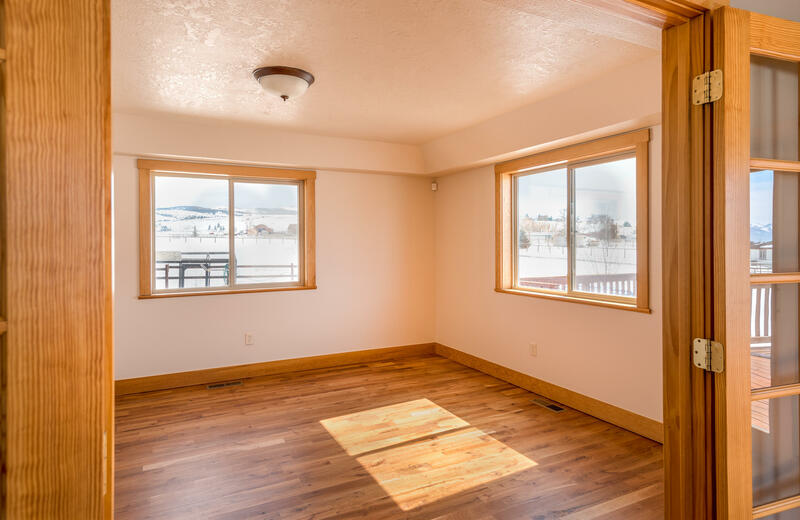 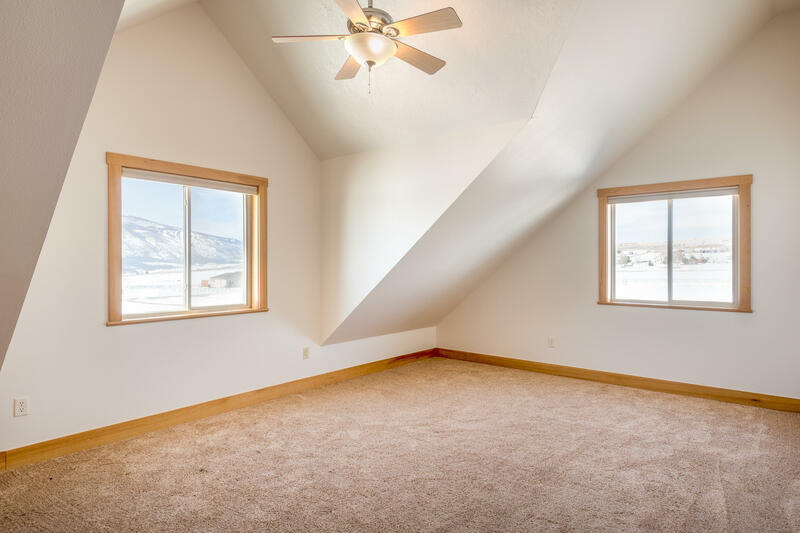 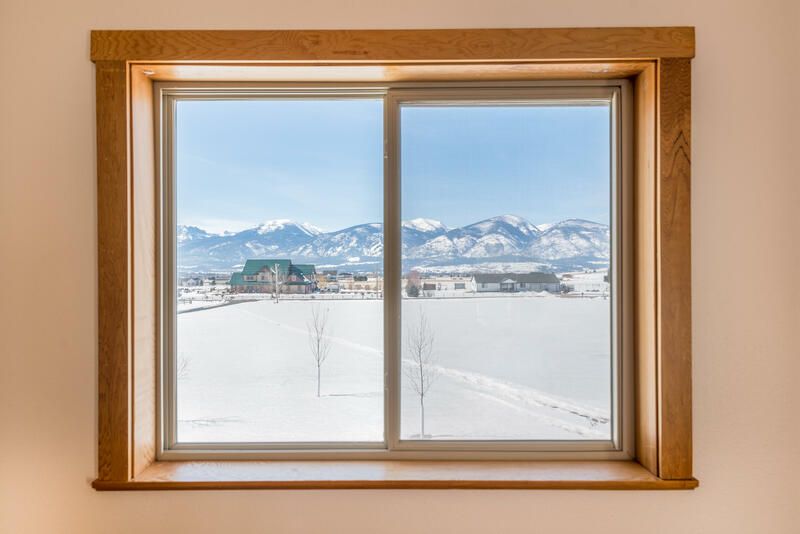 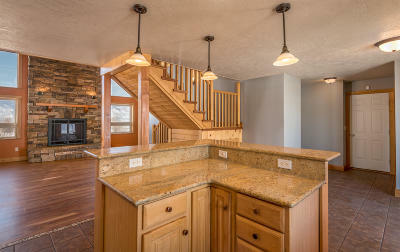 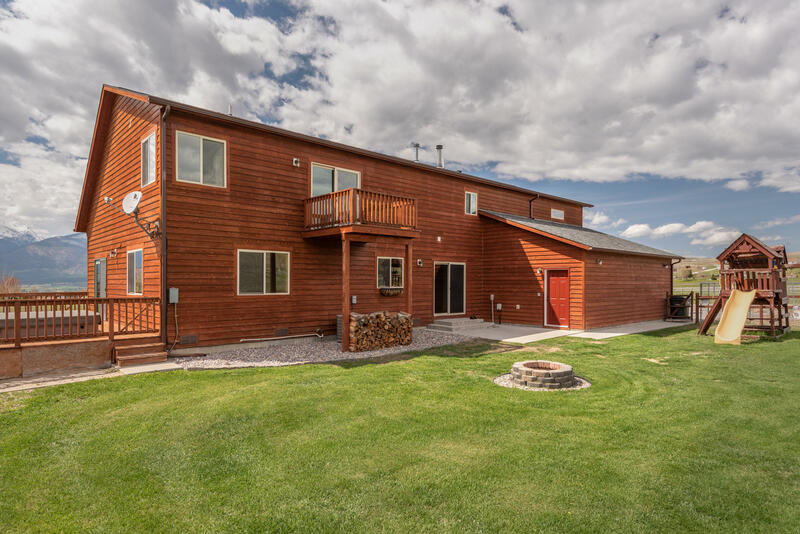 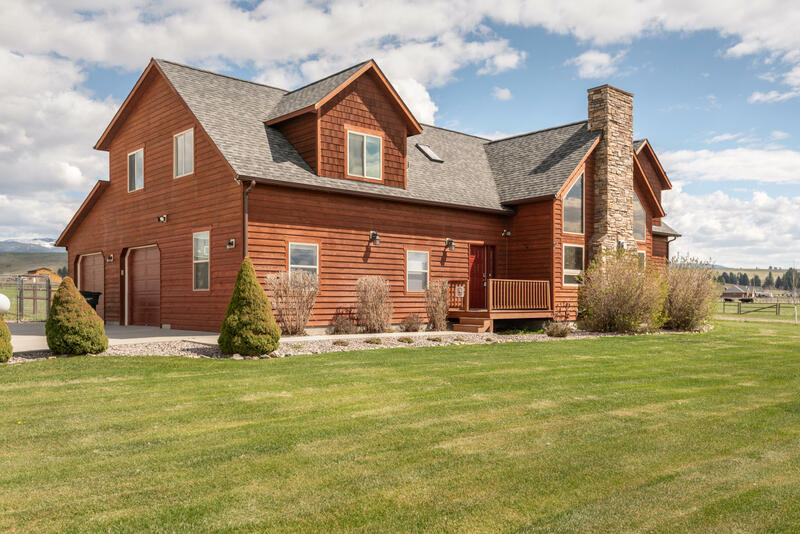 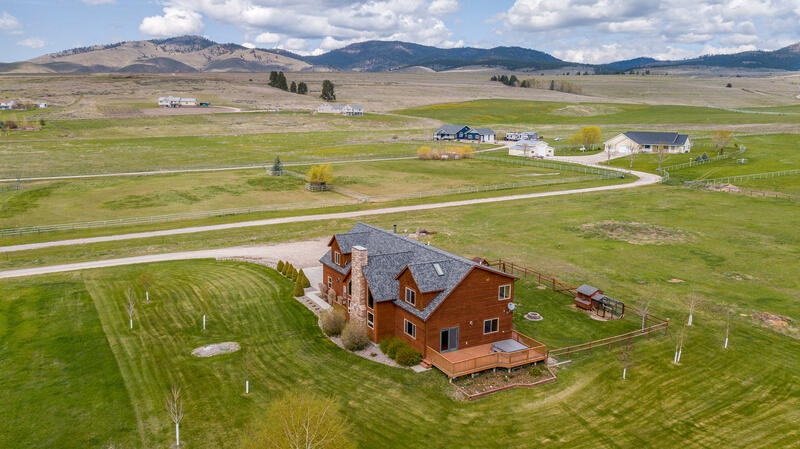 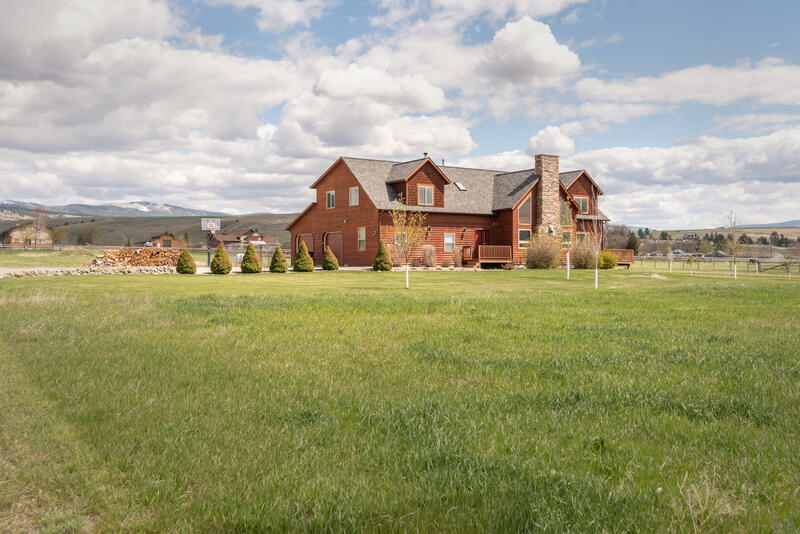 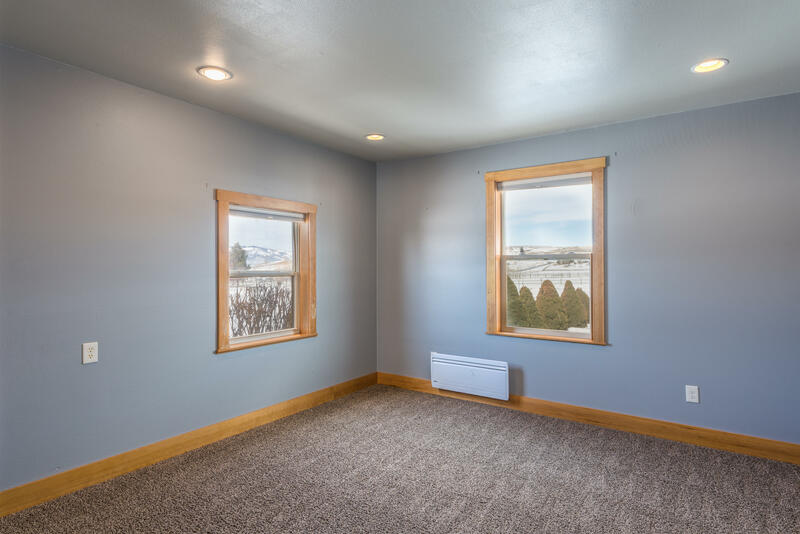 Custom cedar-sided 4BD/3BA home situated on 4.09 acres with amazing Sapphire and Bitterroot mountain views. 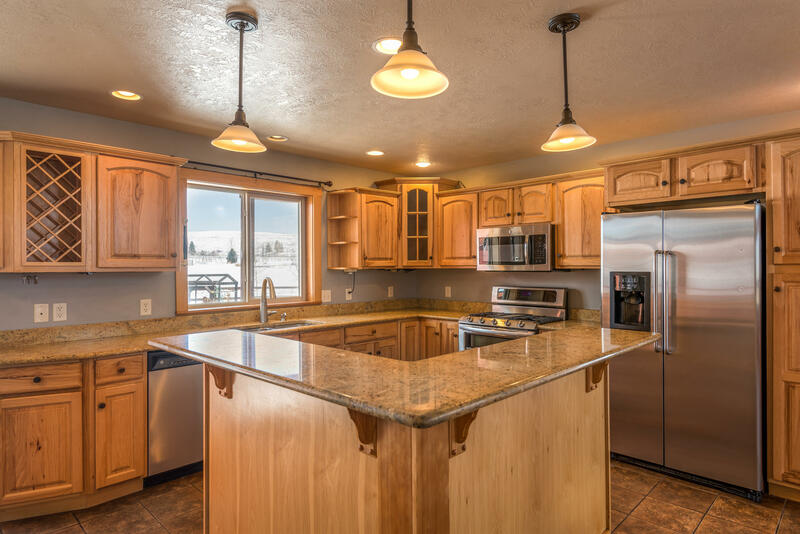 The spacious kitchen with stainless appliances, gas range, double oven, and granite-top island opens up to a gorgeous great room. Perfect for entertaining! 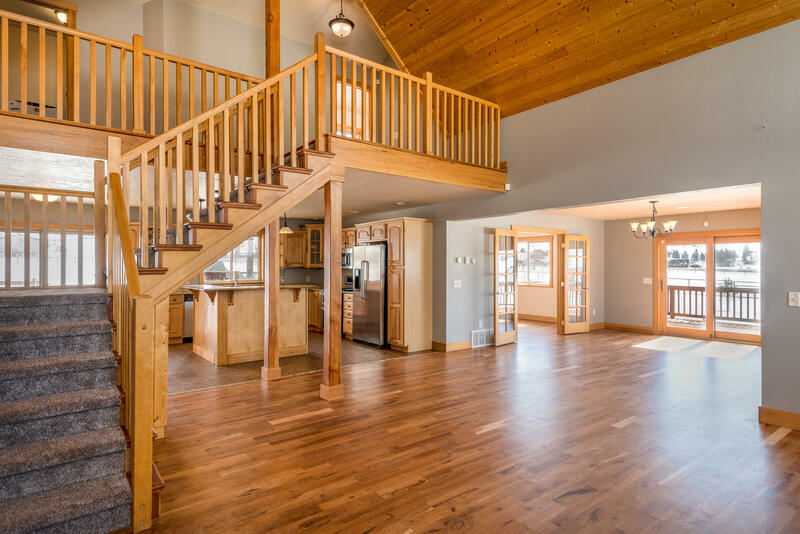 Beautiful cherry floors, stacked stone fireplace and vaulted tongue and groove ceilings create a welcoming space that adjoins a dining area with a sliding door leading to the deck and hot-tub. 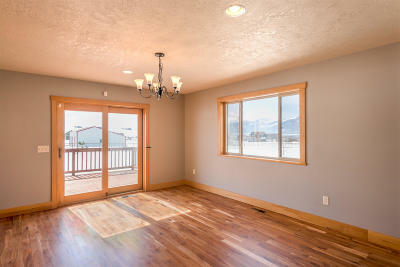 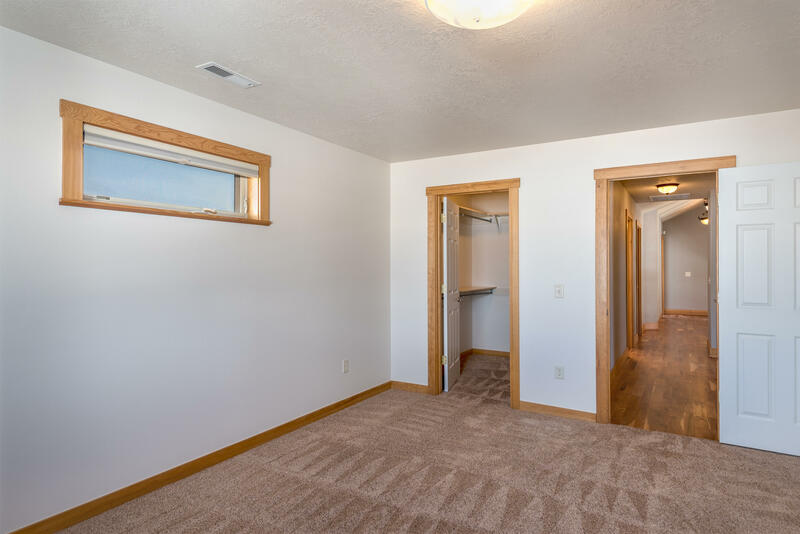 Double French doors lead to another room that could be a media room, exercise studio or den. 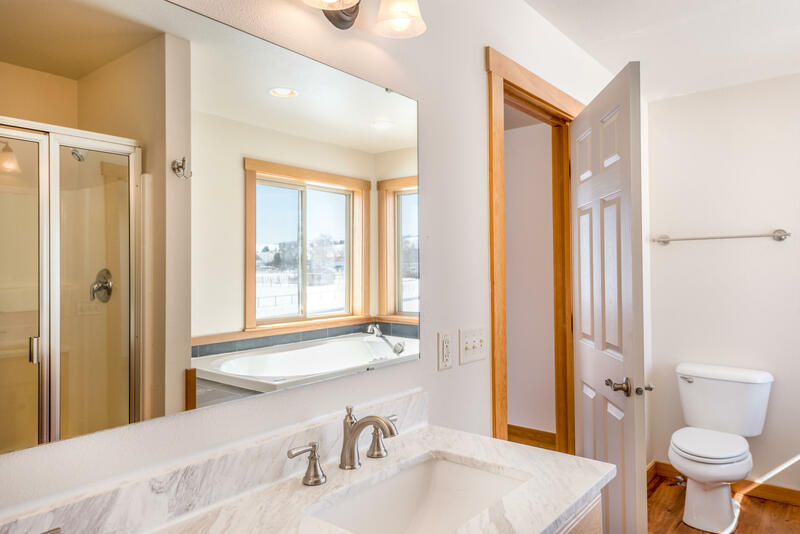 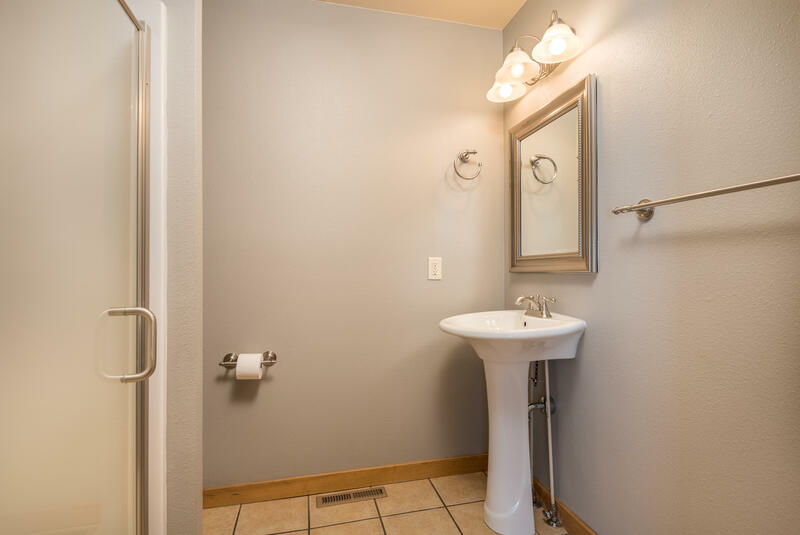 The open staircase leads to the large master suite boasting cherry floors, vaulted ceiling with skylight, large walk-in closet and ensuite bathroom with dual vanity, stand alone shower and jetted tub.